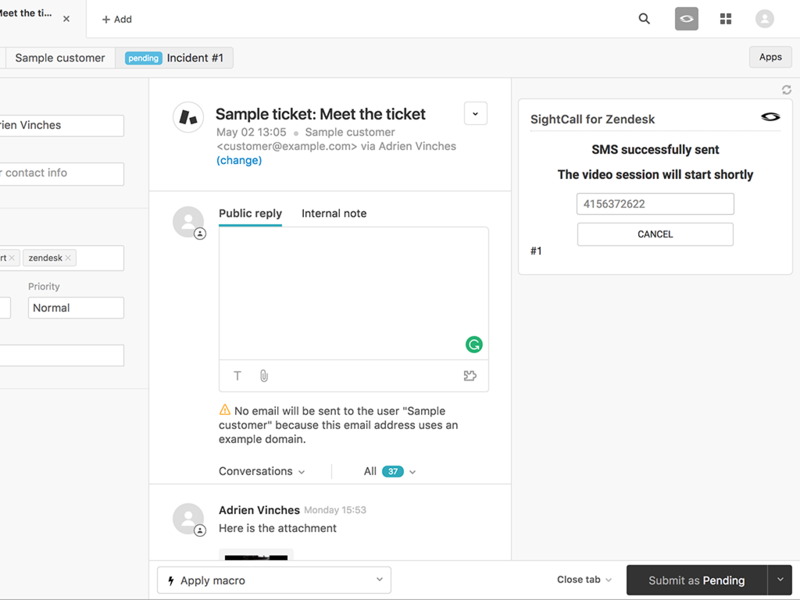 SightCall for Zendesk raises customer service efficiency to the next level by enabling support agents to engage in live video interactions with customers sharing their issues in real time. Before SightCall, support organizations required multiple, long and often complex interactions with customers to understand their issues, leading to confusion, low customer satisfaction and unnecessary product returns. 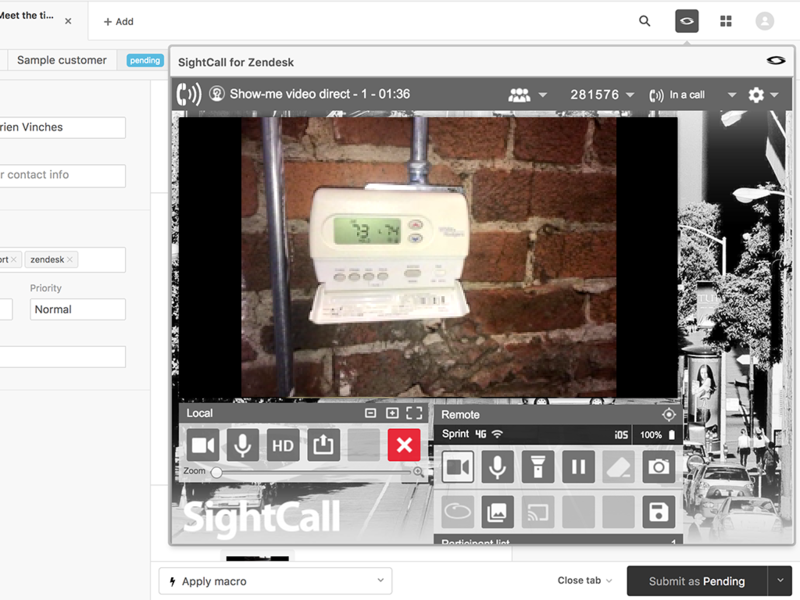 Now, SightCall provides your agents with the ability to see what the customer sees and guide them towards resolution right there and then on their mobile device. SightCall for Zendesk improves understanding, decreases resolution time, reduces product returns and increases customer satisfaction. Step 1: Fill the form Request for activation. Step 2: A SightCall Sales representative will contact you shortly. Step 3: A SightCall tenant will be created for your SightCall for Zendesk package. Step 4: You will receive an email to activate your admin account on admin.sightcall.com. Step 5: You will create an OAuth Client for your SightCall for Zendesk package on your zendesk domain. Step 6: You will retrieve your SightCall API Key associated to your SightCall tenant. 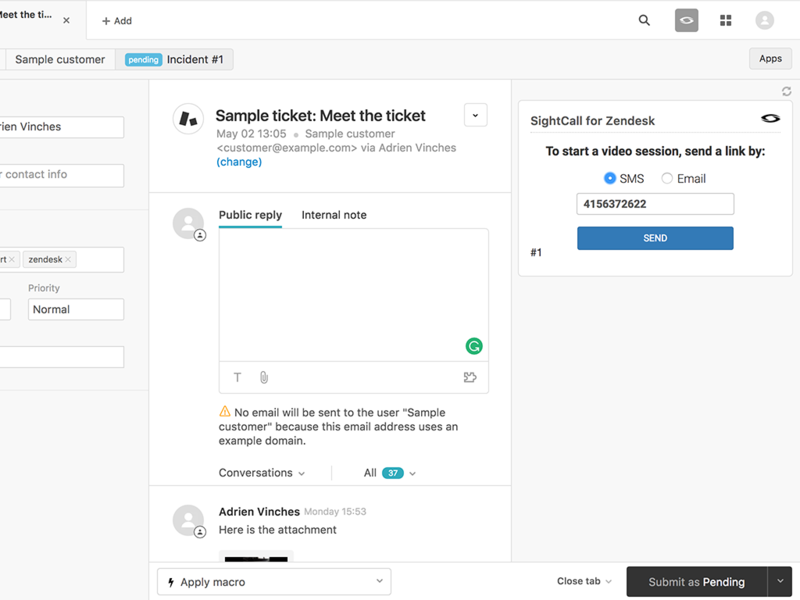 Step 8: You are ready to use SightCall for Zendesk!